“I have learned that the Nordic model is not static. 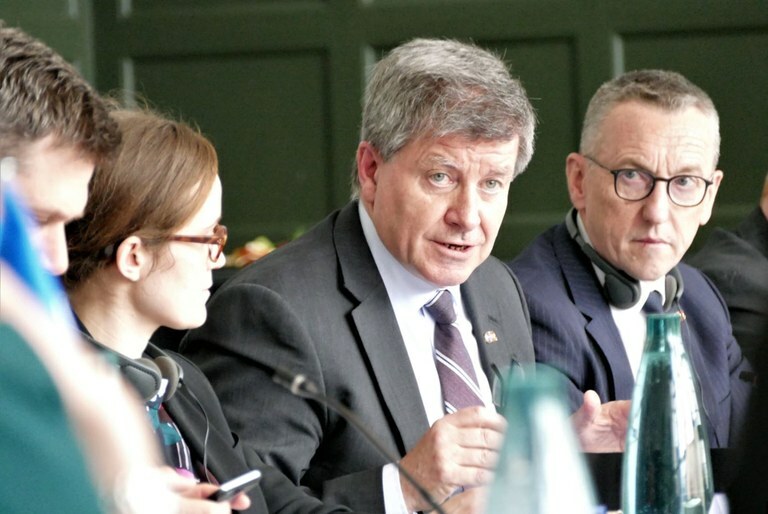 It has some basic building blocks, but is adaptable to change,” said the ILO’s Guy Ryder in his speech to ”The Nordic Conference on Future of work – Towards the ILO Centenary”. The ILO will celebrate 100 years this June. As part of the run-up to the centenary, the Nordic Council of Ministers and the ILO have been organising four conferences on the future of work and gender equality. 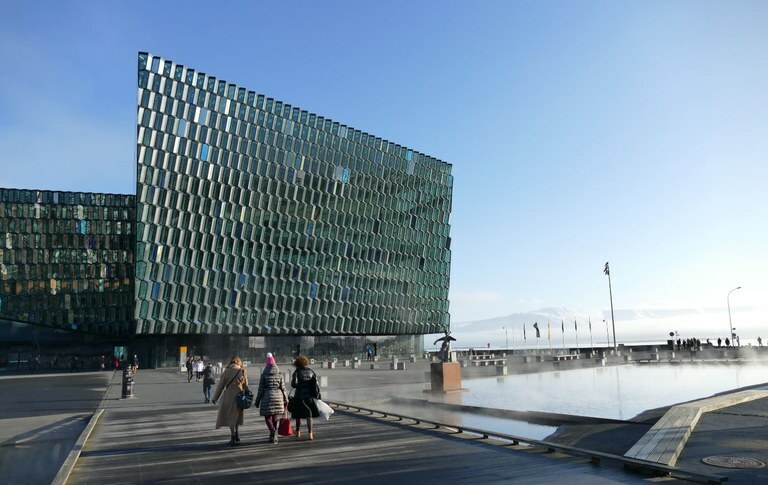 The conference venues have moved according to who has been holding the Nordic Council of Ministers Presidency, and have included Helsinki, Oslo, Stockholm and now Reykjavik. This time, the theme was the future of work with special focus on gender equality. The annual Nordic Council of Ministers for Labour was held ahead of the conference. The social partners and Guy Ryder were invited as guests. He gave a short presentation of the report “Work for a brighter future,” produced for the ILO by the Global Commission on the Future of Work. The commission, which was set up in 2017, has been led by Swedish Prime Minister Stefan Löfven and South Africa’s President Cyril Ramaphosa – both men with trade union backgrounds. Guy Ryder, Director-General of the ILO, and Heinz Koller, Regional Director for Europe and Central Asia at the ILO, during the Nordic Council of Ministers for Labour. The commission’s mandate has been to identify challenges posed by rapid technological change in thelabour market, and to create strategies for how to deal with this. The commission has met four times and has been a broad gathering of experts from different sectors and different parts of the world. The commission has summed up its work in a report which identifies three main pillars of action. The main idea is to develop a human-centred economic agenda, placing people at the centre of everything. “We are convinced that if everyone is aware of the changes, if everyone is included and works together to find solutions, there is a brighter future to our world of work,” write Stefan Löfven and Cyril Ramaphosa in their preface. In his address to the meeting of labour ministers, Guy Ryder also underlined the importance of a human-centred economic agenda. He highlighted three parts from the report; the first being the universal right to life-long learning, with an emphasis on right. “It is no secret that this was the easiest area to agree on. Everyone agrees that life-long learning is a necessity in the face of current rapid and fundamental changes. People can no longer expect to go to school, get a job and stay there for 40 years before retiring,” said Guy Ryder. Yet even though everyone seems to agree about the need for and right to life-long learning, a range of questions remain. Who will pay, and who’s responsibility is it? The individual, the company or the state? “We need a combination of all three,” said Guy Ryder. Life-long learning also raises questions about how to create the best systems for it to happen. Where and how should the learning take place? At work? In school? Or in other ways? Many countries are already looking at this, but there is one serious problem, said Guy Ryder. Guy Ryder also addressed the need for gender equality, and reminded everyone that the issue has been on the ILO’s radar since the beginning in 1919. 60 years ago the organisation also included equal pay for equal work and non-discrimination in its charter. This has been ratified by all member countries, but in reality we are far from those goals still. “So why has this not been implemented? There are still many hidden obstacles in the labour market, like the fact that women take on more care responsibilities and that parental leave is mainly taken by women,” said Guy Ryder. He praised the host country Iceland for finding new, creative solutions for dealing with the invisible obstacles. The third priority highlighted by Guy Ryder is the right to control your own time. Working hour issues are as old as ILO’s 100 years old charter. Back then the average working week was 60 hours, and the aim was to reduce this to 48 hours. Since then, it has fallen to 40 hours in many places in the world. Paula Lehtomäki, the new Secretary General for the Nordic Council of Ministers, also participated during the labour ministers' meeting. This was her second public engagement. The working hours issue is again the focus for debate, as new technology creates opportunities – for better or worse – to be more or less constantly available. As a result, we have the issue of creating a work-life balance. “The borders are being erased, and we can work anywhere, anytime. This might give us freedom, but it is a double-edged sword. It creates issues around how we organise our work. 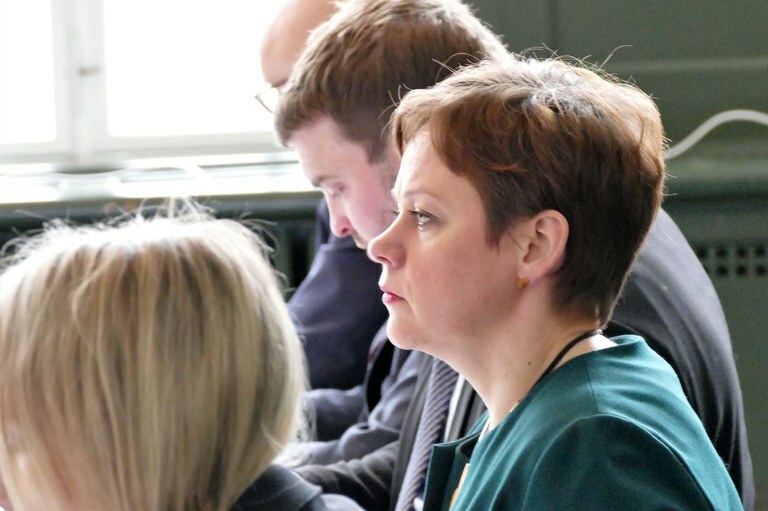 There is also a growing tendency for more part-time solutions and so-called zero hours contracts, which contributes to the increasing polarisation too,” said Guy Ryder. “The question is how people gain more control over their working hours, while also combining this with the company’s needs for flexibility. We have to look at working hours from many different angles." Guy Ryder also addressed the main conference which was held over the following two days at the now nearly legendary conference venue Harpain Reykjavik’s harbour. The building was only half built when the economic crisis hit Iceland ten years ago, and there was talk about abandoning the whole project. An expensive and spectacular building was not necessarily a top priority as many Icelanders struggled with lost savings and falling pensions. But the construction continued and today it is a popular space for culture and conferences, with its glass facades which mirror the shifting light from the sea, the city and the mountains in ever changing patterns. More than 300 people from the Nordics and many other countries had travelled to Iceland to take part in the conversation about the future of work. Iceland’s President Guðni Th. Jóhannesson welcomed them all. He explained that working life was not his area of expertise. Yet he does live in a country whose people are among the hardest-working in the world. “The labour market is run with an ‘I can do it’-attitude. You work as much as you can right now, because you don’t know how things will be looking next season. “There is still much to do when it comes to gender equality, and this can only happen if we cooperate,” he said, and praised the good work which has already been carried out by the ILO, OECD and UN Women. Iceland's President Gudni Th. 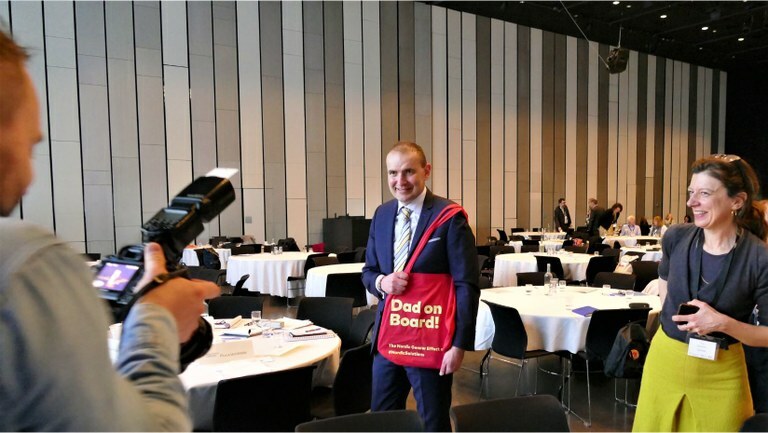 Jóhannesson willingly poses for photos holding one of the Nordic Council of Ministers' bags which he got from head of information Anna Rosenberg. Photographer Birgir Ísleifur Gunnarsson checks the picture came out well. The Secretary General of the Nordic Council of Ministers Paula Lehtomäki also congratulated the ILO with the centenary. She underlined the close links between the Nordic countries and the ILO when it comes to the importance of tripartite cooperation and the drive for gender equality in the labour market. “You played an important role after the First World War when there was a great need for improving and regulating labour market conditions. The ILO took on that responsibility, and still does in its work for decent jobs, social conditions and gender equality,” she said. Guy Ryder took a quick look back over 100 years of ILO, and the inspiration the organisation has found in the Nordic countries from the start. Referring to the Icelandic Hávamál, he talked about the importance of traveling in friendly company to find the right way, and not to get stuck in history and lose momentum. The ILO also uses its centenary to look to the future together with its 187 member countries, instead of only celebrating past victories. He quoted Hávamál once more, telling the tale of the cowardly warrior who survived by standing at the back during battle. And yes, he grew old, but his soul never found rest. “We will not stand back and avoid that which scares us. We will move towards the future and its challenges,” said Guy Ryder. participated at the Reykjavik meeting: Ásmundur Einar Dadason, Iceland, Anniken Hauglie, Norway (centre) and Ylva Johansson, Sweden. To the left is Paula Lehtomäki, Secretary General of the Nordic Council of Ministers and to the right is Guy Ryder, Director-General of the ILO. Magnus Gissler, General Secretary of The Council of Nordic Trade Unions, and Sonja Thorbergsdóttir, head of the BSRB trade union, stand in the back row.